We are enlisted amongst the noteworthy organizations by providing a quality assured range of Socket Weld Elbow to our customers. Our offered pipe fittings can be availed by our esteemed clients in diverse sizes and specifications as per their accurate needs and demands. 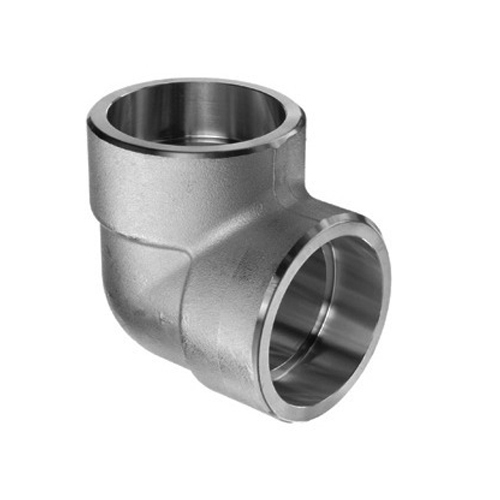 Rigorously examined against variegated quality parameters, the provided fittings are delivered at customers’ premises within the scheduled time frame. Established in the year 2007, we, Manoj Industries are enlisted amongst the reliable manufacturers, trader, suppliers and service providers of a superior quality collection of Vaccum Fittings, Helium Leak Detector, Gas Distribution System, Gas Pressure Regulator, Tube Fittings, Welding Fittings, Ferrule Fittings, Buttweld Fittings, Compression Fittings, Pipe Fittings, Helium Leak Testing Services and Orbital Welding Services. The provided products are efficiently manufactured with the help of supreme quality material that is obtained from renowned vendors of the market and sophisticated equipments in conformity with set standards of industry. We provide these products in several modified options as per the details provided by our patrons. Offered products are extensively demanded and admired by our customers for sturdiness, accurate dimensions, simple installation, corrosion resistant, superb strength, high durability and compact designs. Available at cost effective prices, offered products are delivered within the promised time frame.